Keeping workers safe is an essential part of running a business. And one way to achieve workplace safety is choosing—and ensuring workers wear—personal protective equipment (PPE) appropriate for the tasks each worker performs. Lay the groundwork by checking your company’s injury and near-miss records. These records will provide clues to help you pinpoint areas of focus. 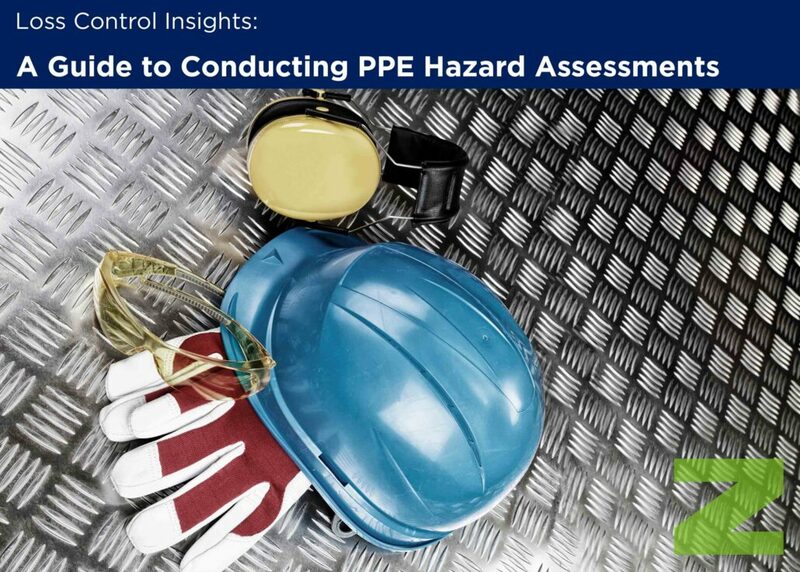 Review materials about choosing PPE, including the EMC Personal Protective Equipment Hazard Assessment Tech Sheet. Use OSHA PPE rules as a baseline, but Jordan recommends going beyond the basics to identify applicable industry-specific hazard identification and PPE standards, such as those from ANSI and NIOSH. In addition, consider equipment manufacturers’ recommendations and warnings, and information found in the safety data sheets (SDSs) for chemicals your employees use. Do a thorough walk-through of the area to evaluate the dangers facing workers. Jordan recommends having honest conversations with workers and supervisors in the area. “They know the work they are doing, so opening lines of communication will help you understand the realities of what they face, including hazards or complications not obvious at first glance,” he says. Explore whether the hazard can be eliminated by modifying the environment. Ask questions: Can equipment be adapted to eliminate the potential for crushed fingers or extreme noise? Could this task be adjusted so that it no longer poses danger to workers? Can you switch to a less toxic chemical? To find answers to your engineering and logistical questions, manufacturers’ guidelines and SDSs may be helpful, and your engineering department or an outside consultant may also be able to help with making fixes. If you determine you can’t modify the machinery or the task to reduce or eliminate risk, the next step is to look at what type of PPE is needed to keep workers safe. Involving employees at this step may offer a positive side effect: Some workers may be resistant to wearing PPE because of bad past experiences, discomfort or because they feel that PPE slows them down. If their input is welcomed and they are a part of the process, they are more likely to accept PPE decisions. Document the assessment using a checklist to be sure you cover all the bases. The checklist is also an excellent starting point for planning employee training and can be a resource for communicating with regulators. Continue working on employee buy-in. If there are still concerns about processes or possible solutions, listen and work through the issues with workers. Make PPE selection a partnership. Give employees a choice of several types of appropriate PPE, such as respirators or goggles, allowing them to find the best fit. Employees will feel invested in the process and will be more likely to wear PPE that is comfortable. Check to be sure PPE isn’t slowing down employees as they work to meet deadlines. Scratched or murky glasses may make it difficult for workers to see, or bulky gloves may make it hard to handle intricate parts. Workers may be reluctant to don PPE if it slows them down. Ask what can be done to make up for the deficiencies so that deadlines can be met: Does damaged PPE need to be replaced or are additional resources needed to complete the work on time? Don’t assume that a safety assessment is a one-and-done project. Start a new assessment whenever there are work process or task changes, or if you have a jump in injuries. Because OSHA requires annual PPE training, you’ll need to update training to reflect any process changes, and ensure that all affected workers understand the new requirements. Enforce PPE rules consistently and continually. A successful PPE program is one that is culturally ingrained in the workplace. Individuals respond to their peers—as long as they see everyone else wearing PPE, they are more likely to do so themselves. Maintain the momentum of successful adoption through consistent enforcement.